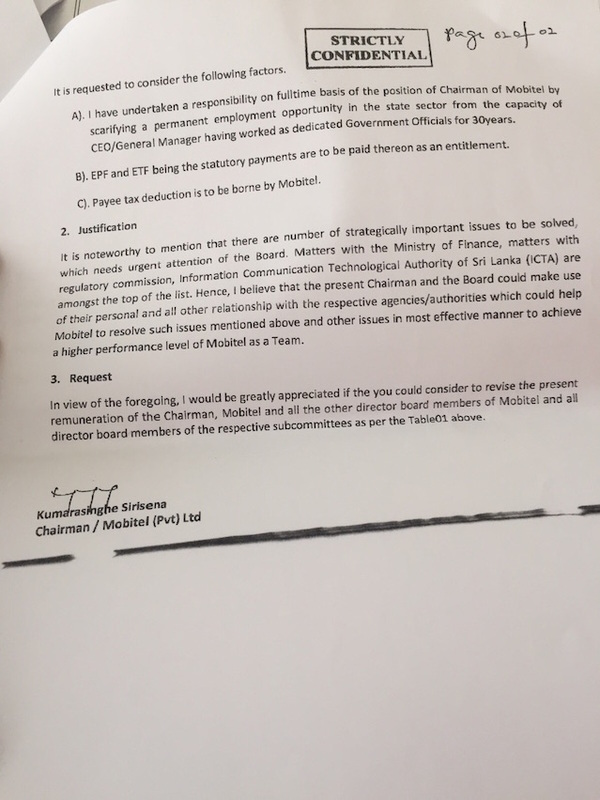 President Maithripala Sirisena has deliberately tried to conceal that his brother Kumarasinghe Sirisena wanted to triple the salaries he gets as Chairman of Sri Lanka Telecom (SLT) and Mobitel. 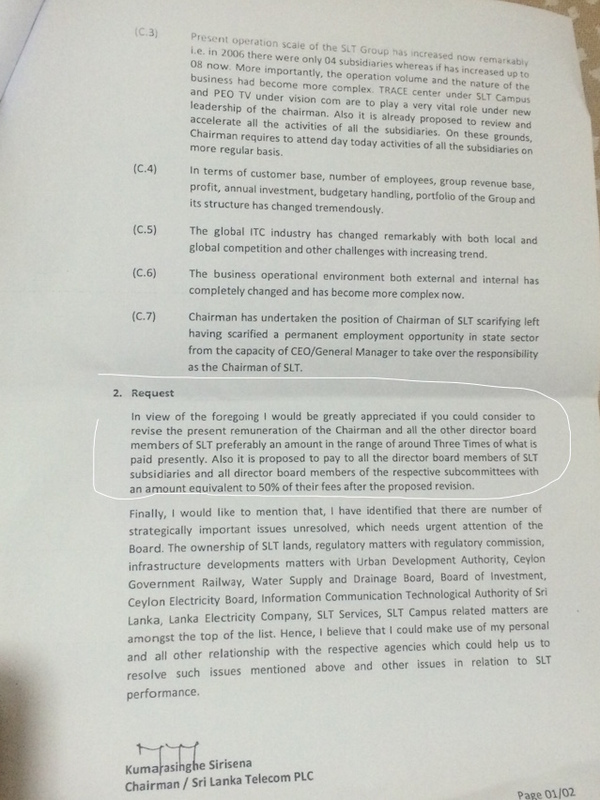 Although claiming that his brother draws the same salary as his predecessor, the President did not reveal that in fact, Kumarasinghe Sirisena has submitted Board Papers to both the SLT and Mobitel Boards, requesting that his salaries and those of the directors ‘in the range of around Three Times of what is paid presently’. 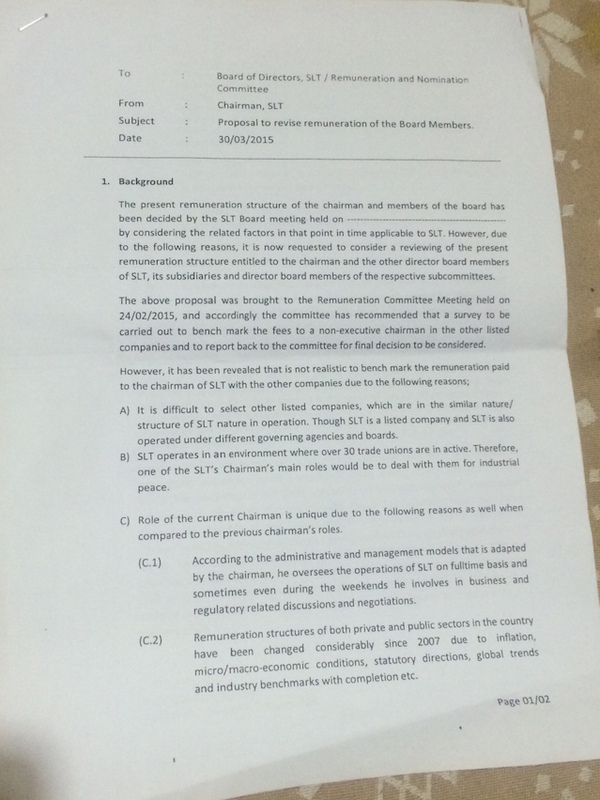 The Board Papers are dated March 30th, 2015,( see the documents below) just two months after Maithripala Sirisena appointed his brother Chairman in a move that contradicted his pledge to do away with nepotism. 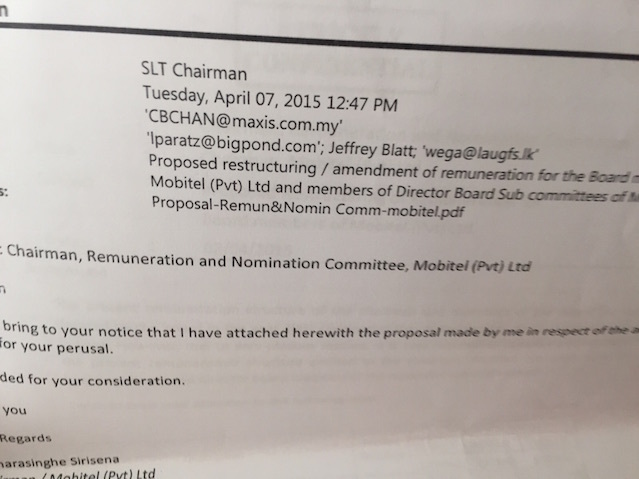 The Chairman’s current salary at SLT is Rs 450,000 a month and at Mobitel Rs 400,000. 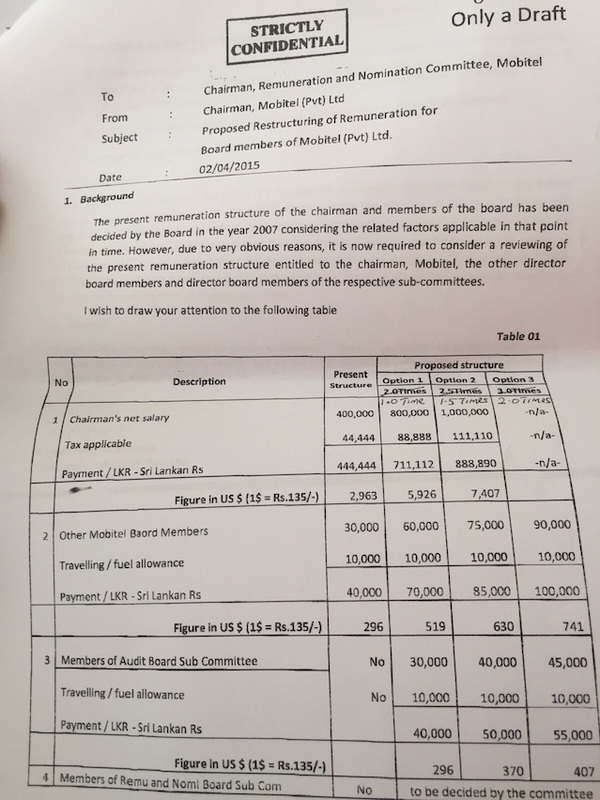 SLT Board Directors get Rs 35,000 and month while Mobitel Board Directors get 30,000 a month. This is a lie. Firstly, Welgama did not draw a salary. Secondly, Sirisena deliberately conceals his brother’s attempt to increase his salaries three-fold. The President did not mention the fact that his brother had sought a salary increase that would have given him a monthly income of approximately 2.4 million rupees (from SLT and Mobitel). The President’s assertion gives the impression that his brother was not and is not interested in increasing it by even a cent. The President, who has moved to change the composition of the Board, cannot be ignorant of his brother’s self-serving behavior in the Board. 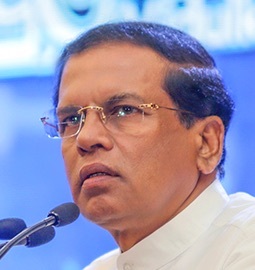 As such it is clear that Maithripala Sirisena was trying to deceive the public regarding his brother’s greed.